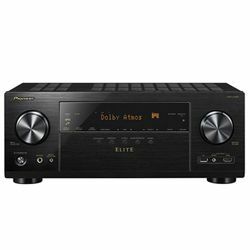 This Yamaha RX-A880 vs Denon AVRX4400H comparison should help people who look for a good receiver that has enough power and has many features. The comparison of the total power output shows that the AVRX4400H is the option for people who need more power – compare its 1050 W of the total output power and 780 W that the RX-A880 outputs. 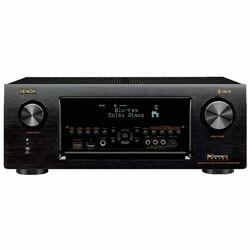 Moreover, the RX-A880 is a 7.2 channel system, while the AVRX4400H is a 9.2 channel receiver (with 11.2 channel processing). However, both receivers work with the Alexa voice control technology. These solutions support modern video standards (HDR, HLG, 4K). The AVRX4400H has an “eco mode” and it does not decrease the output power too much. These models have Wi-Fi and Bluetooth modules. Both receivers also support AirPlay. The AVRX4400H features the HEOS built-in technology. Both solutions support the multi-room feature. Some customers had problems with the RX-A880 ports – two HDMI ports stopped within three years. These receivers use auto-calibration systems. The RX-A880 uses YPAO and the AVRX4400H uses Audyssey MultEQ XT32. These models are provided with the microphones required for the initial calibration. You can always fine-tune the settings in the future. 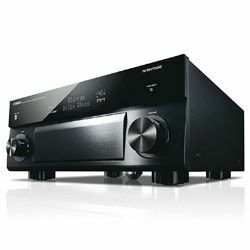 The Denon AVRX4400H vs Yamaha RX-A880 design comparison shows that both models have almost identical buttons layout – two knobs on the sides, a simple display, and a front flap. The difference is that the AVRX4400H has the flap that covers all buttons and ports, while the RX-A880 has buttons which are not covered by the flap. The dimensions are 15x17.1x6.7 in for the RX-A880 versus 14.9x17.1x6.6 in for the AVRX4400H. The weight is 24.3 and 29.8 pounds. The output sound is clear and it does not have any distortion. The auto-calibration feature is extremely precise and can deal with non-standard rooms. The remote controller is too heavy. Some applications work with iPads and phones only and don’t work with Windows devices. It takes some time to synchronize when you change the source. The initial calibration is fast and accurate – you should not have any problems with it. The menu is user-friendly and attractive. Excellent compatibility with various devices. The output sound is extremely clean and it does not distort even at the high volume level. The Bluetooth connections are not stable (you may get lags or it disconnects eventually). Some customers had an issue with the HEOS application – it locks the system (you need to unplug it and plug it back in).